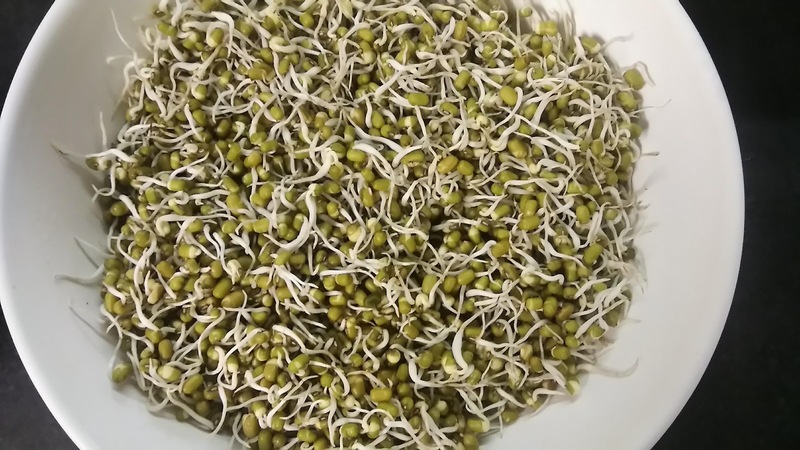 Sprouts are very popular as a nutritious food as they are rich in protein, folate, magnesium, phosphorous and vitamin C. It has many health benefits which helps in growth and development of children. But the biggest challenge is to feed kids with this super food. To be honest I myself don't like to have sprouts in it's original form. I generally make sprouts chila / pancake or sprouted parantha . 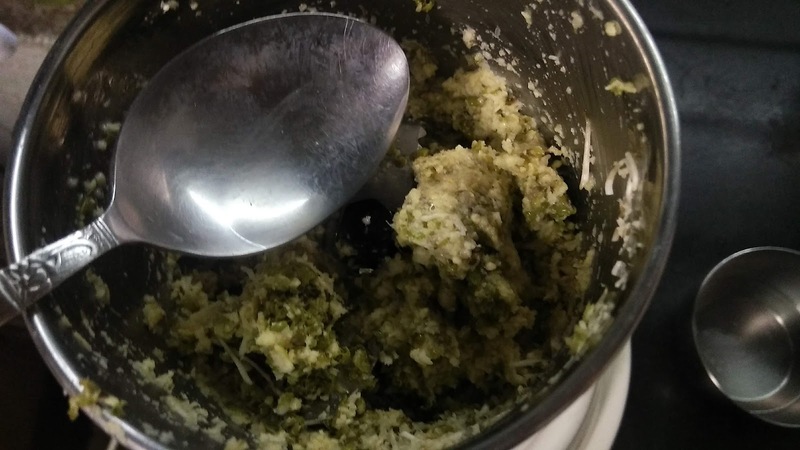 This time I tried hand on something new and different which is very easy and quick to make, trust me, it came out to be a big hit among my kids. 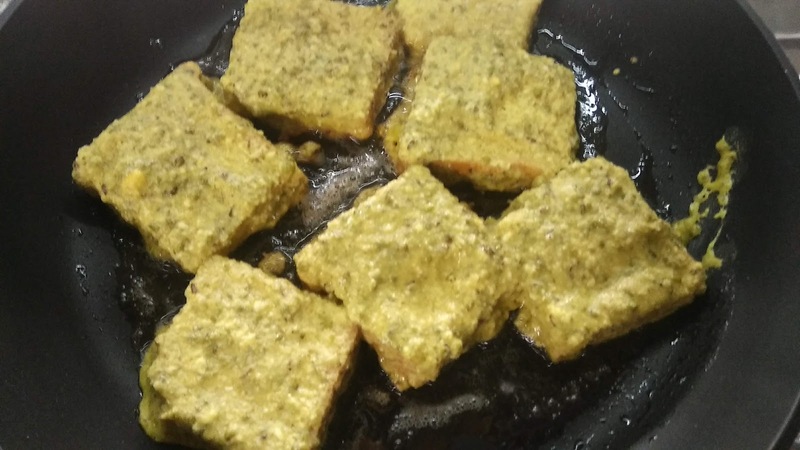 To enhance the taste and flavor I added besan, this not only help in binding the batter but makes it more tastier. 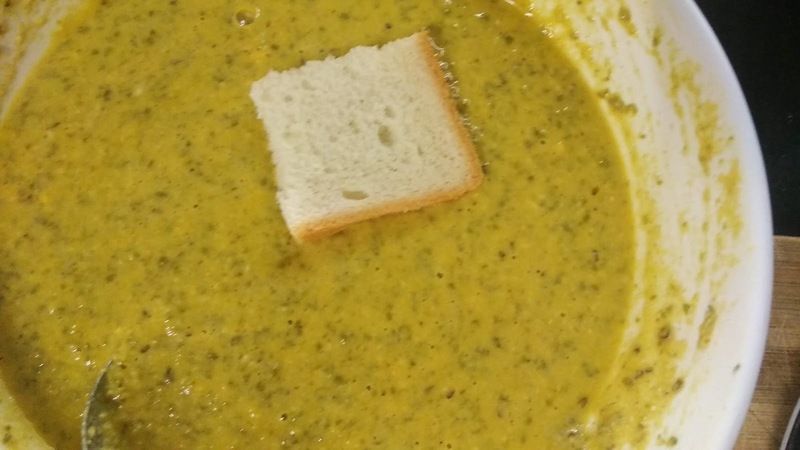 It makes a perfect school lunch box recipe as it's mess free and easy to handle. 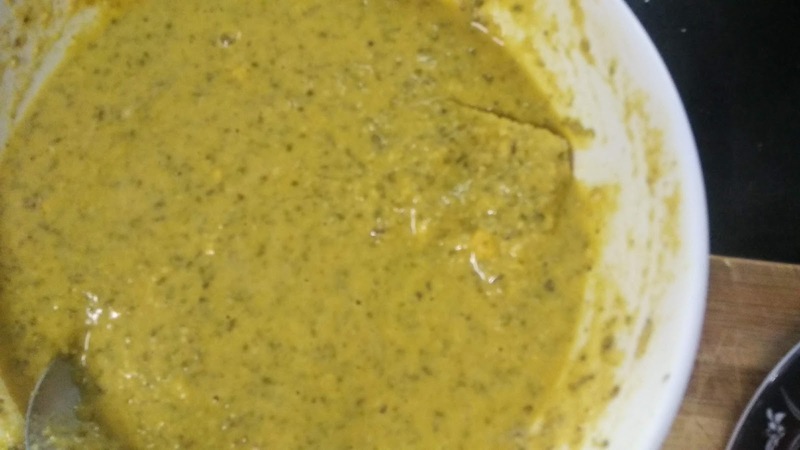 So what are you waiting for soak moong dal today and germinate it and try this super healthy and yummy recipe. Make sprouts by first soaking 1 cup moong dal overnight, then wrap in clean muslin cloth. Keep in casserole and sprinkle some water over cloth. Keep it for 1-2 days or till you get desired sprouts. 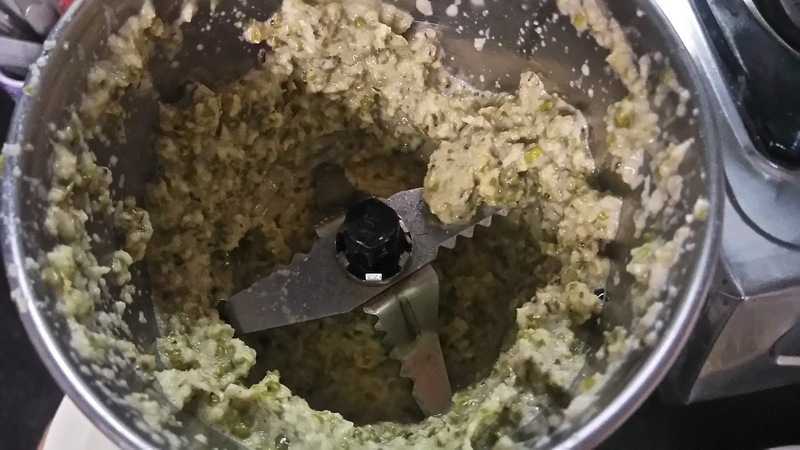 Blend sprouts and ginger together to make fine paste by adding little water. 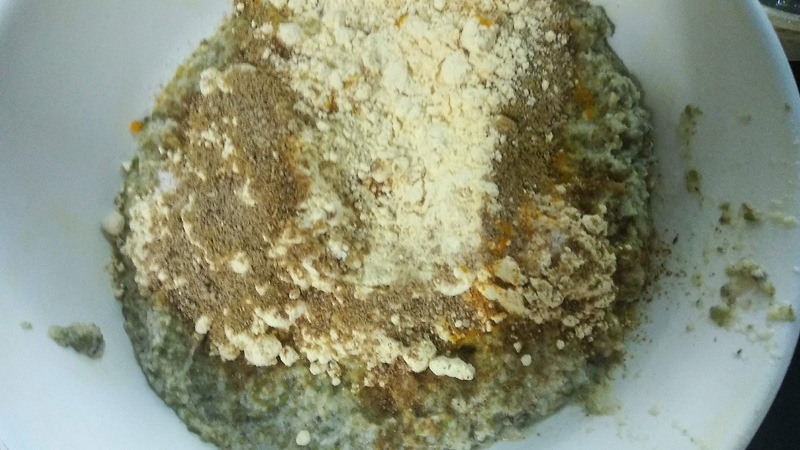 Transfer sprout paste in bowl, add besan, salt, and other spices mentioned above. 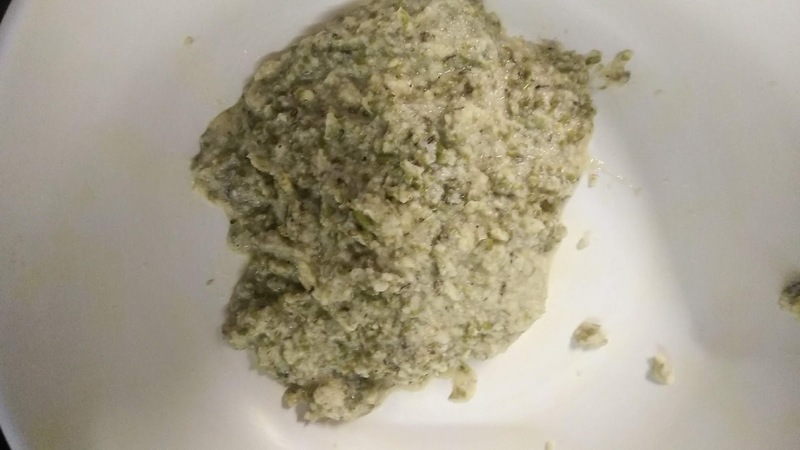 Add water and make thick paste. 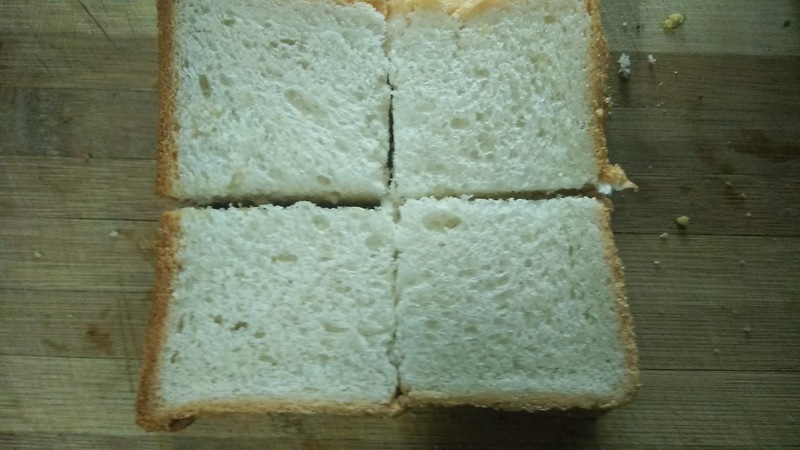 Take bread slice and cut into 4 equal sizes as shown below. Heat pan, add butter, let it melt. 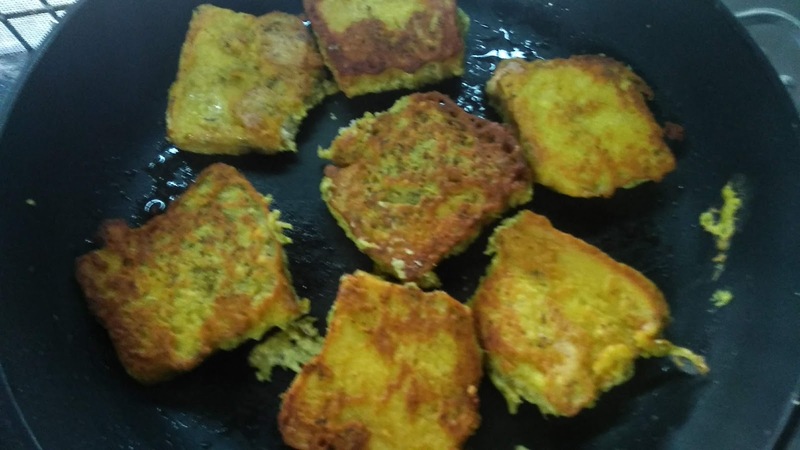 Dip each slice of bread in batter and place on hot pan and cook on medium flame, flip and cook from the other side too. 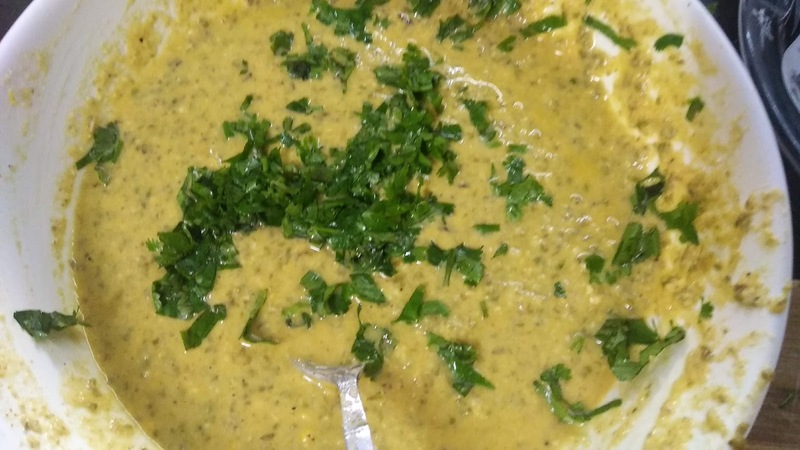 Serve with chutney or sauce. This is one of the best school lunch box recipe as it is very healthy and can be served at room temperature and very handy to carry. 2. Make fine paste adding little water. 4. Transfer in a bowl. 5. Add besan and all the spices mentioned. 6. 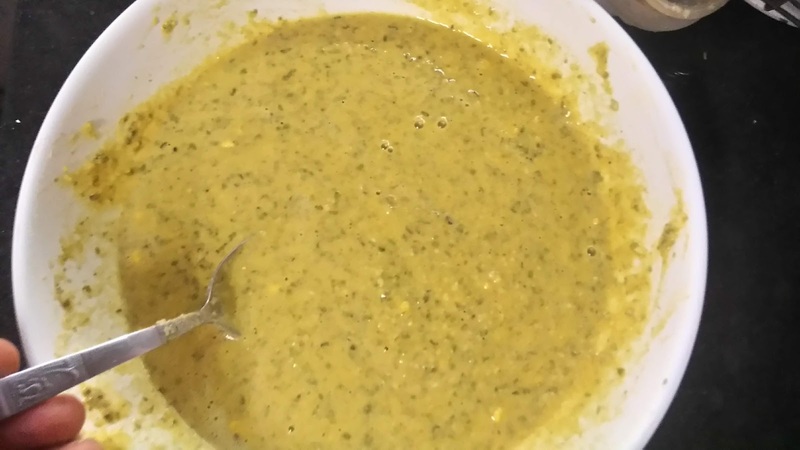 Add water to make thick batter. 7. Some freshly chopped coriander leaves. 8. 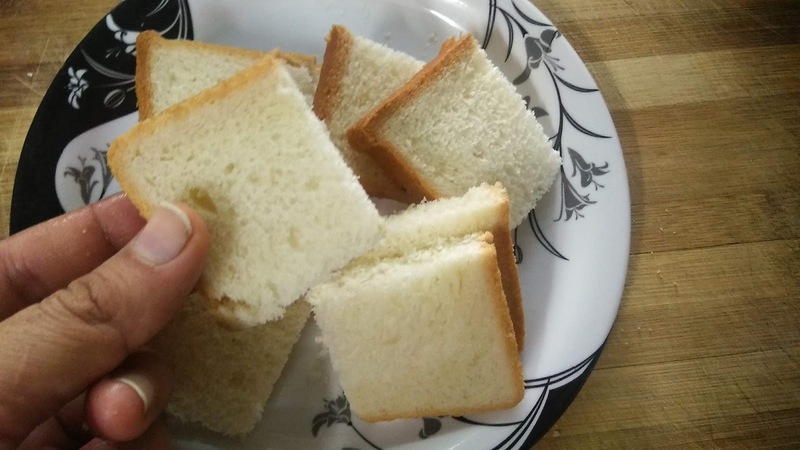 Cut bread slices in 4 pieces. 10. 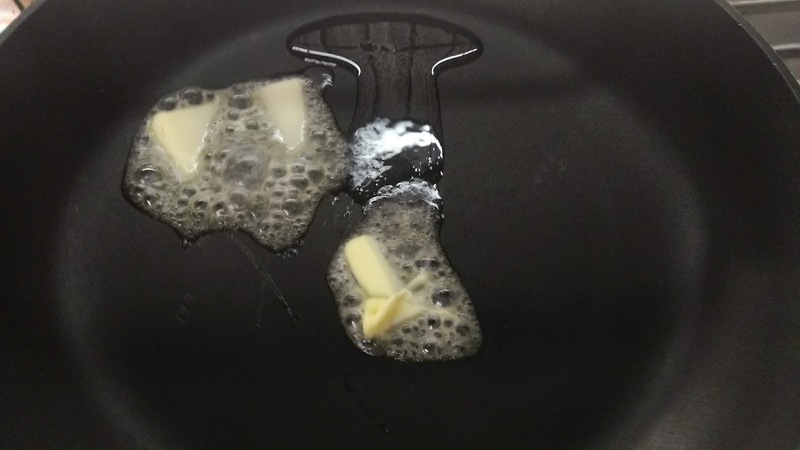 Melt butter in pan. 11. Dip bread slice in batter. 12. Coat it well all over. 13. Place on hot pan. 14. Flip and cook from the other side too.